Having read and enjoyed Hocking's Trylle trilogy, I was curious to see what her next series was about. 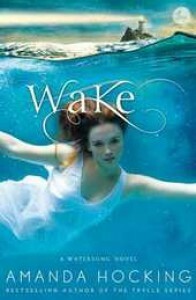 Wake is an intriguing siren story, and I can't wait for the second book, Lullaby, to release in 2013. Wake is about two sisters, Harper and Gemma. After a car accident leaves their mother unable to live at home, Harper finds herself feeling responsible for both Gemma and their father, Brian. She doesn't socialize much. She's focused on working, preparing fro college, and her family. She isn't one for going out, or even dating. Gemma, on the other hand, is on the swim team at her high school. And Gemma, unlike Harper, manages to find time for a love life - something that will nearly destroy her in the end. 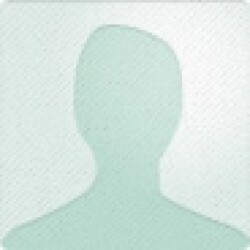 At the beginning of the story, both girls seem like typical teens. Until one night, when Gemma heads out for her nightly swim, and she doesn't make it back. When Harper finds Gemma at the bay the next morning, she isn't sure what happened, but she knows that the "creepy girls" (Penn, Thea and Lexi) are somehow involved. The ending of Wake will leave you desperate for the second book. The final scene between Harper and Gemma is heartbreaking, and I can't wait to see what Harper does next. Like I said, I'm a fan of Hocking's Trylle trilogy, so I was incredibly excited to get my hands on a copy of Wake. She has a knack for creating a world that readers are able to easily lose themselves in, and Wake is no exception. Had it not been for a cold, I would have devoured this book in one setting. Thank you to St.Martin's Griffin for sending me an ARC for review.